James Tissot (French, 1836-1902). The Woman with an Issue of Blood (1886-1896). Opaque watercolor over graphite on gray wove paper. Brooklyn Museum. 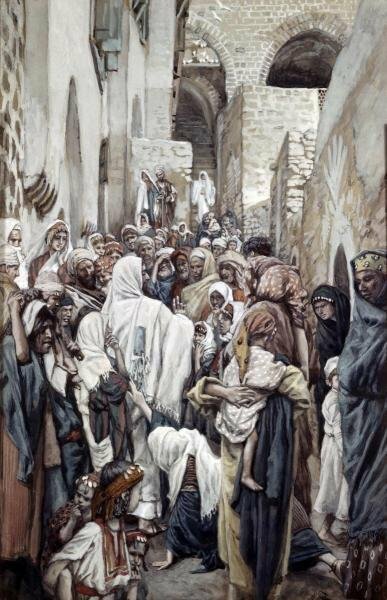 Perhaps the greatest insight into how Jesus performed his miracles comes from the story of the woman with a hemorrhage who got cured by touching Jesus' cloak.